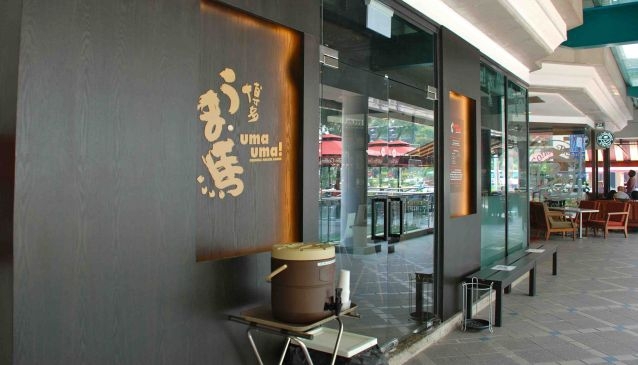 Recently opened at the street level of Forum The Shopping Mall, there's a small casual ramen place with a big name and 60 years of experience behind back in Japan: Uma Uma Ramen serves original Hakata Ramen to the delight of all avid Ramen eaters. At Uma Uma Ramen you'll have your fix of delicious noodles, made according to an old family recipe, with a hearty and spicy tonkotsu stock. There are only 4 Ramen dishes available between S$14 and S$16: Uma Uma Ramen, Chiasu Ramen, Tonkotsu Ramen and Mazesoba Ramen. Yet you'll be able to concoct your very own Ramen by adding some of the several toppings such as pork belly, black fungus and bamboo shoot. A quick fix to reenergize you for more shopping on Orchard Road!